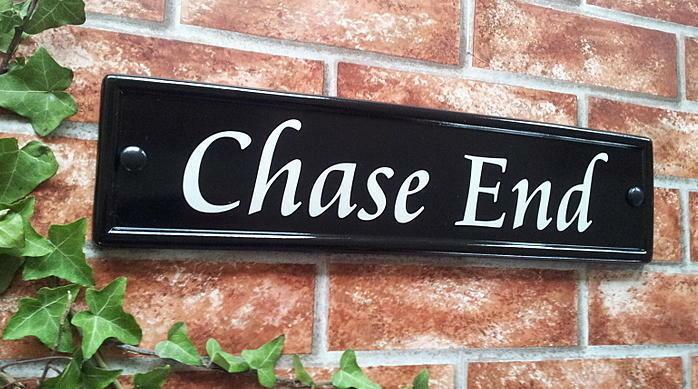 House name plaque in night reflective text for better visibility at night. Also suitable for a number with a road name. Additional directional arrow would be suitable for use with shorter lines of text. Just to let you know that Marshalls Farm sign has arrived. Absolutely thrilled with it, Thank you so much. 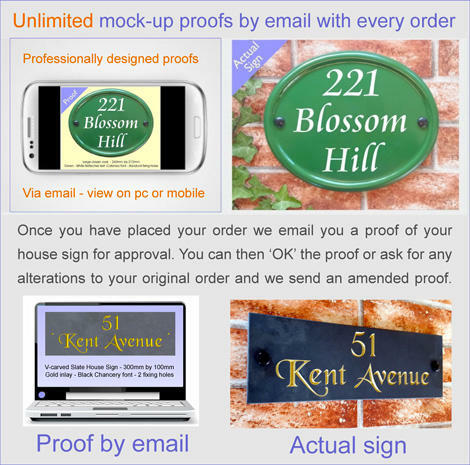 Received the house signs 100% perfect i can not say any more thanks again. Sign looking great. Arrived Christmas Eve so now all wrapped up under the tree for my dad. Thanks. 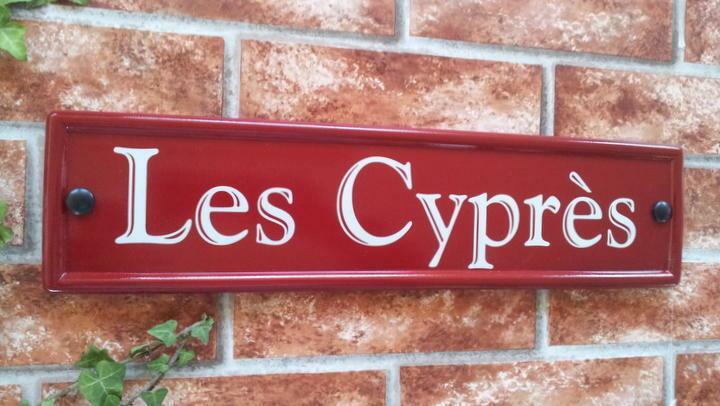 I have just taken delivery of the house sign I ordered, it is fab & I really apprecite the quick turn around as it is a birthday gift. Thanks again I will leave a glowing review. 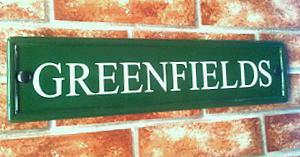 Just to let you know the sign arrived today and I am thrilled to bits with it. It looks great. Thank you so much. Thank you, we have the sign and it is fantastic. Many thanks! 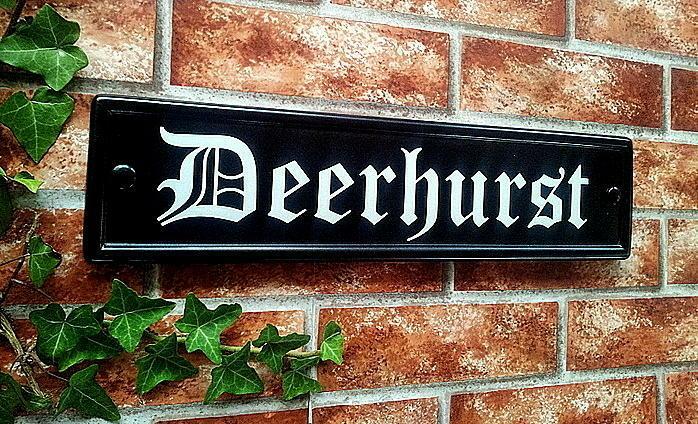 I have received our house sign and we are delighted. It is just what we had imagined. Thank you very much for the excellent product and service. Many thanks. Ordering was simple, the result is Excellent. Thank you for an easy, stress free procedure. Very easy to use site, the mock up proof was great & being kept in touch with the progress was very good. The sign arrived, well packaged & it is beautiful. 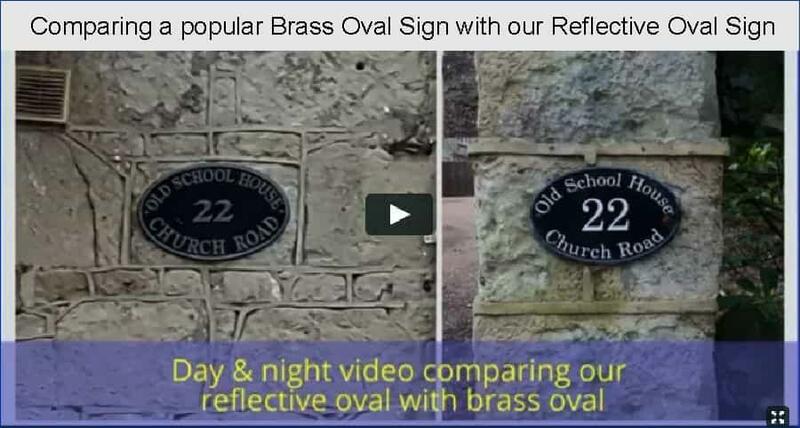 Its look fantastic & the reflective factor will be so useful as the location is an unlit road. Thanks again. I can't fault the service: it worked flawlessly, from PDF drafts of the sign allowing me to add an arrow as an afterthought (otherwise people might think that section of fence is a gate) to the final despatch. The sign itself seems to be good quality, although I've yet to verify its reflectivity and lifespan. 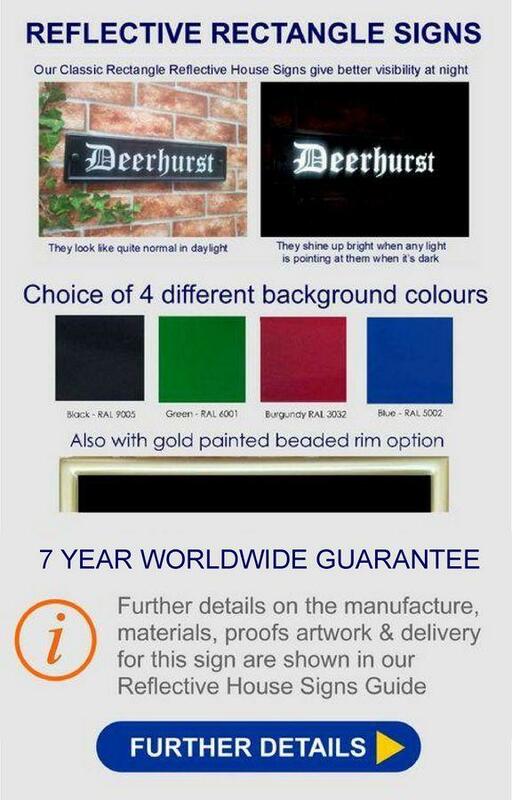 I'd happily deal with YourSigns again.